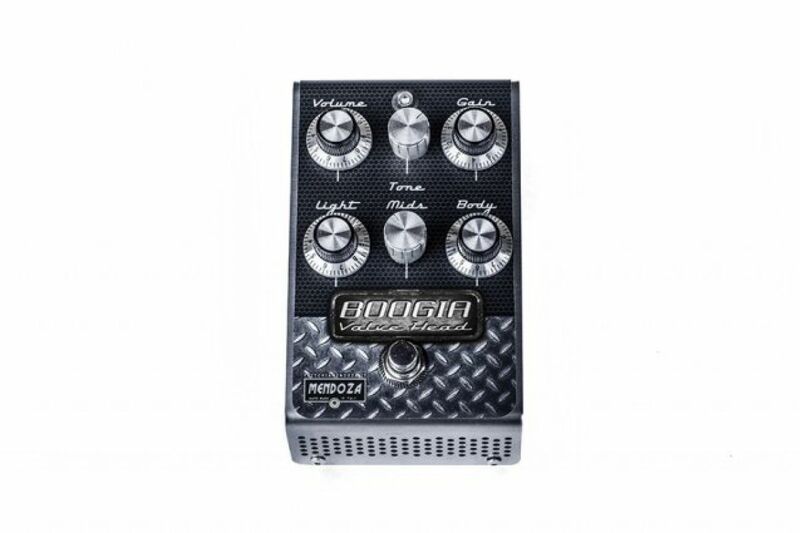 Boogia is a very multifaceted pedal, in any case or like a Preamp pedal, or as overdrive would have to be. 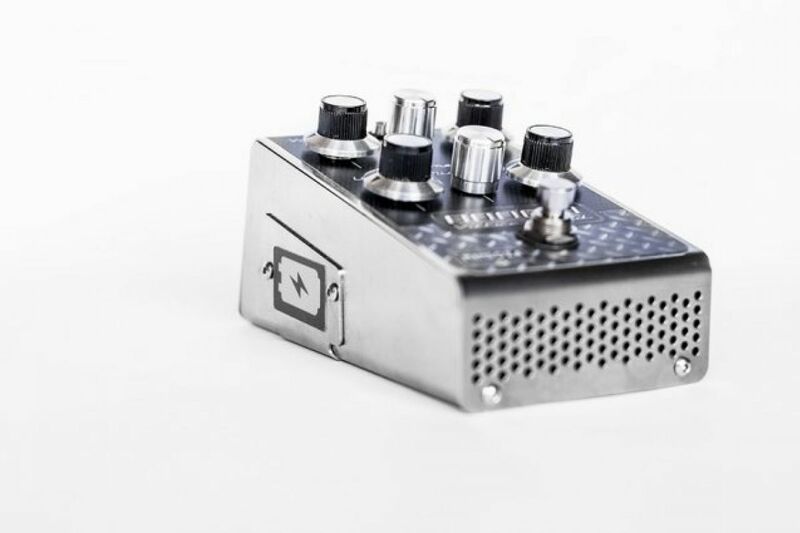 BOOGIA is a very multifaceted pedal, in every way you look at it, it is the way a true overdrive should be! The tuning on six levels is meant to make possible obtaining any type of sound in relation to the amp. and the Axe you're using. I wanted to optimize the signal, make it full and powerful but without ruining the signal. The purpose was realizing in a single instrument a pedal which could get close to harmonics in an OverHead Valve amp., purpose which was successfully achieved. 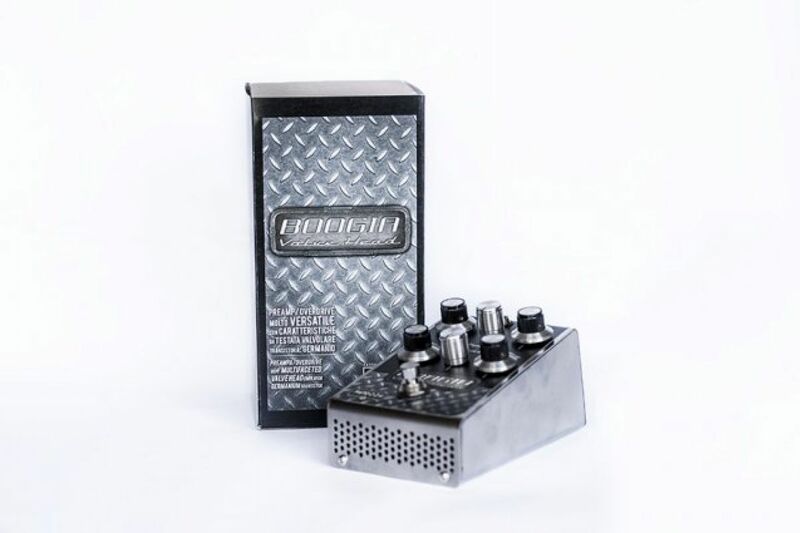 The choice of the insertion of Germanium and tantalum parts plays a great part in the character of the sound in output when you use this pedal, rendering a sound particularly akin to the Overhead valve's one. Increase the power of the signal. Increase the saturation of signal. Manages the exaltation of the mid frequencies in a progressive manner in synergy with the adjustment for the presence of finely harmonics; you want with a wide range of action. The most of it is an Overdrive, usually a simple treble-rolloff, but here sounds as a really powerful treble-rolloff, the EQ is balanced near the middles. Turning this switch you can reduce the basses without decreasing the trebles and also obtain the opposite effect. It's a high-passing filter for the components at the base of the distortion. At low gain's level the presence switch doesn't push it over, but when you raise the gain, turning the switch to the left, you get a clear and narrow low-end. 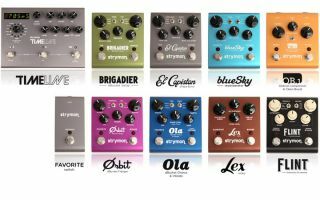 Most of the guitar players will leave the presence switch completely closed, but if you're looking for a vintage fuzz sound, or want to put many overdrives together, turning this switch you'll bypass the filter, leaving in output the sound of the natural distortion. This switch allows to narrow the frequencies obtained by the regulation of the tones and of the gain level so that the distortion is always punctual in response and clear. The purpose is to drive to the amp. a good and well calibrated sound. 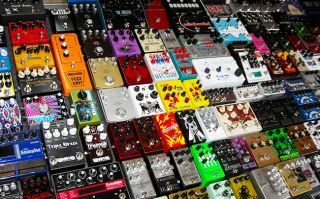 The pedal is True Bypass. 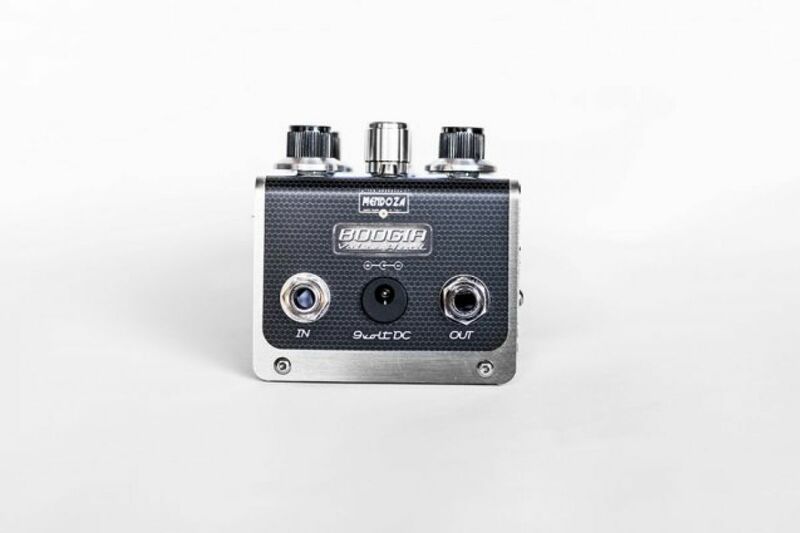 This is a very flexible pedal, whose tone resembles a pre-amp tone near the over head valved one. 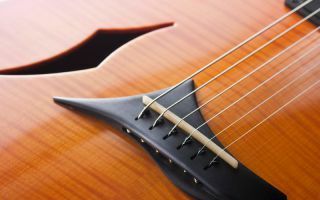 The tonal flexibility is obtained by the setting of the basses, light, and middle switch, optimizing the saturation of the sounds without ever dribbling it. This pedal will blow your head off any way you'll tune it, but will knock you out when pushed to his max! Anyway, if you're already using an Overhead valve amp you'll be able to choose the precise level of EQ you need. 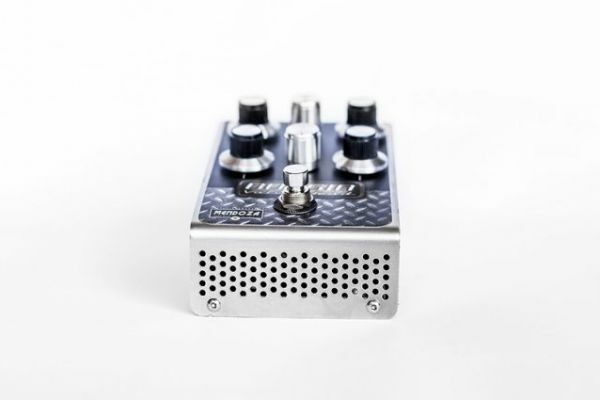 With these features your amp will become huge and powerful, and if it is already, never mind: with BOOGIA on the clean canal you'll be surprise by the toughness of this crunch distortion witch will give your amp's one an hard time. It's very indicated for rock, blues, metal and new-metal.